Millions of listeners on Amazon Prime Music are waiting to LOVE your tunes. Get your track featured on a premium playlists with a huge following and streamed 24/7 for months. Gain new listeners while getting paid streaming royalties. Apple Prime Music pays 0.0060$ per stream. Increase plays and grab new listeners' attention with our Amazon Prime Music playlist promotion package. Hack music streaming promotion today! We'll add your track to six Amazon Prime Music playlists, from a curated, popular premium account. The track will stay there 4 months and it'll be streamed 24/7. A song in these 6 playlist gets around 60-120 streams a day: get royalties and new fans who stream music. 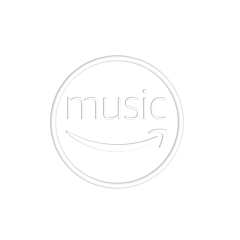 We'll send proof links with your track on Amazon Prime Music within 5 days after payment, so you can start watching the streams climb up and up. Because providing this service bears considerable costs for us, if your song is 6:00 minutes or longer you'll have to order the service two times.